Genuine Kia Service technicians are specially trained on Kia vehicles. Not only do they know your Kia inside and out, they will provide you with friendly and personalized service you can trust. Please use the buttons below to schedule a service appointment or contact our service department. We can be reached by phone at 763-710-8240. Genuine Kia parts are engineered to meet the original factory specifications of your Kia vehicle. Don’t settle for anything less than high quality and precision fit for your Kia vehicle. Please use the buttons below to order parts or contact our parts department. We can be reached by phone at 763-710-8260. Our dealership offers these maintenance packages for the term that best suits your driving habits. When it comes to the maintenance of your vehicle there are many options and plans available. 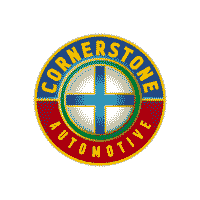 At Cornerstone Automotive, we offer the YOU+ Service Plan..for you + your vehicle. In the purchase of your vehicle, a 12 month maintenance plan is included. We also offer extended maintenance plans for 24, 36, and 48 months based on your driving needs. We service all makes, models and imports. Our Certified technicians are highly trained to service your vehicle and answer questions you may have about your vehicle maintenance. YOU + Service Plans are honored at any one of our four locations. See a Service Advisor for complete details.